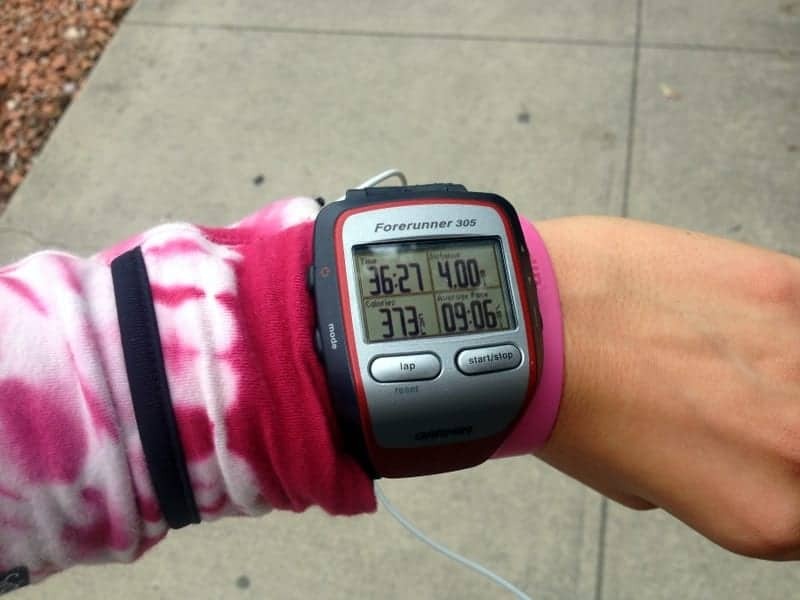 Mine started out early on a cool and cloudy Saturday morning with a little jog through Denver. I didn’t go super far and didn’t push myself speed-wise. While I don’t feel the altitude affecting me as much during day-to-day stuff I can definitely feel it when I’m running because I am nowhere near where I was with my speed in Indy. Oh well though…I’ll work to get it back! Brian and I went to our first Rockies game with a bunch of his classmates from his ortho program. Such a fun way to spend the evening! I met up with Lindsay from Cotter Crunch because she is visiting Denver right now 🙂 She was so sweet and kind enough to bring me some Cinnamon Bun Healthy Bites. They are amazing!!! AND I’m happy that I have all the ingredients on hand to make my own batch when these are gone (which will be very soon!). 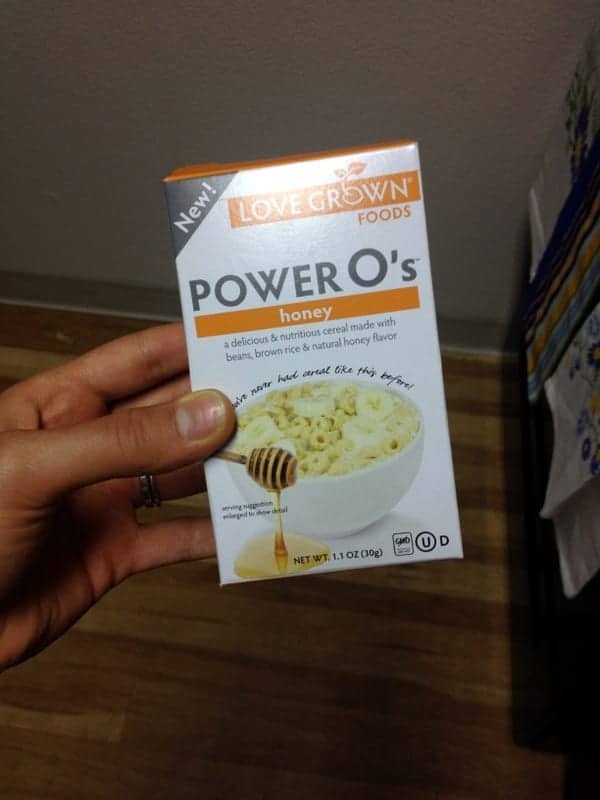 She also brought me some Love Grown Power O’s. Have you tried them yet? They look amazing, I just haven’t had a chance to give them a taste! 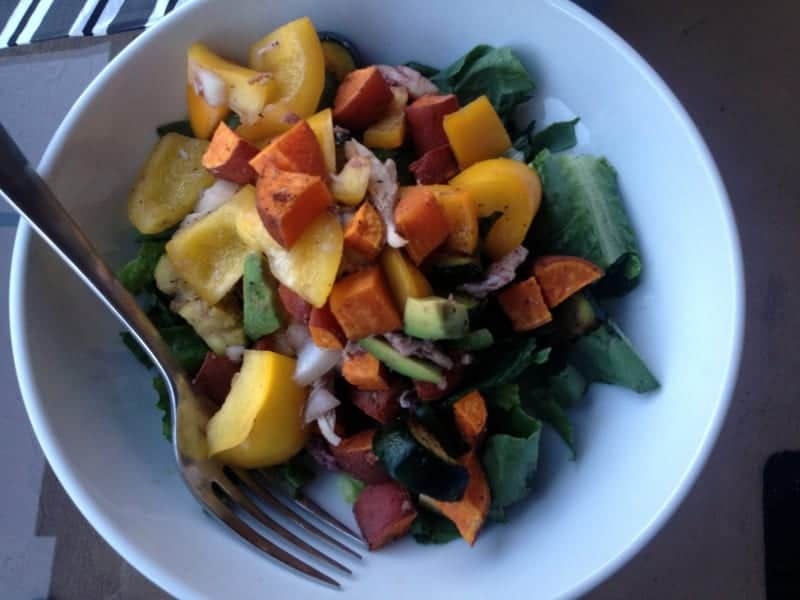 Brian and I ended our weekend with a fabulous throw-together-salad of chicken, blackberry adobo jam, bell pepper, onion, avocado, romaine, roasted sweet potato, and roasted zucchini….so yummy! 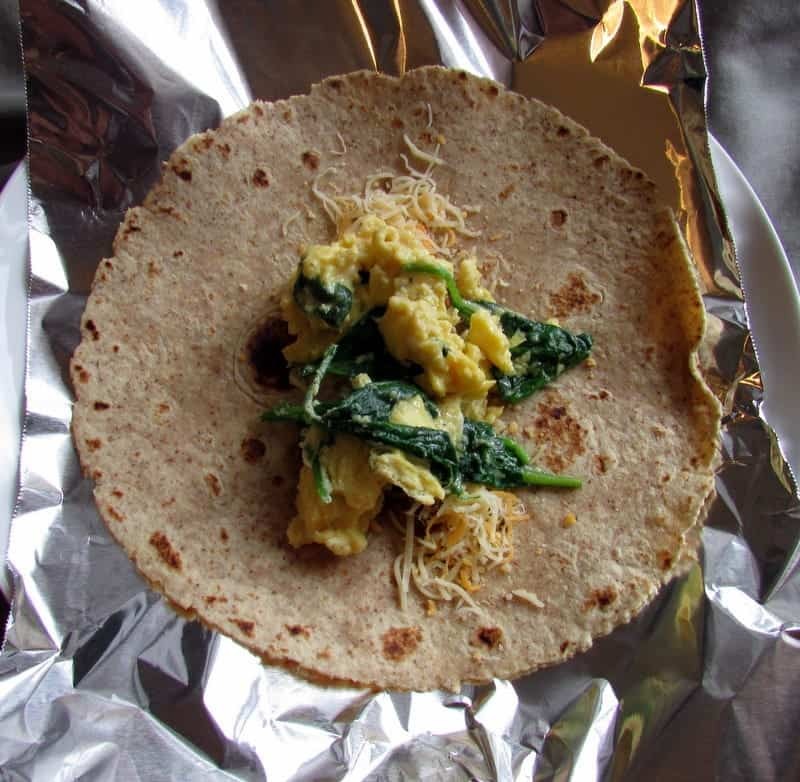 Ok, now a couple of weeks ago when I shared our weekly meal plan with all of you I mentioned that I made Brian some breakfast burritos. I made these a few weeks in a row to make sure I had the recipe/reheating instructions down pat before sharing with you. Brian has loved these burritos for his morning meal. 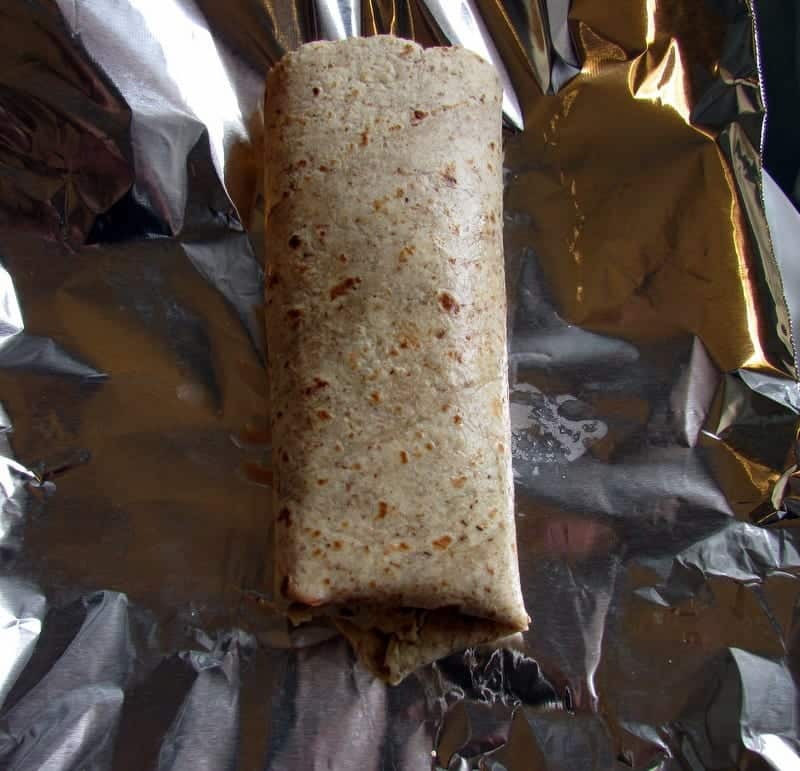 We just pull a burrito out of the freezer the night before to thaw and pop it in the oven in the morning to get it all warm and delicious! First, I cut a medium sized sweet potato into flat pieces like the picture below and roast them at 425 for 20-30 minutes. All I do is top them with a little salt and pepper…maybe garlic if I’m feeling crazy. 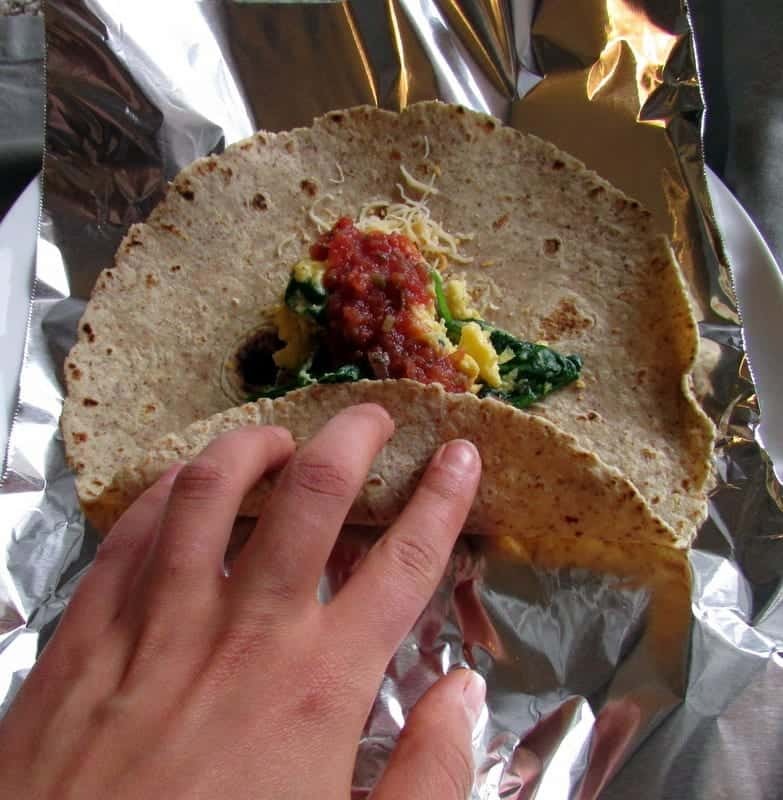 Once the eggs are cooked, set them in a handy place so you can load them into your burritos. 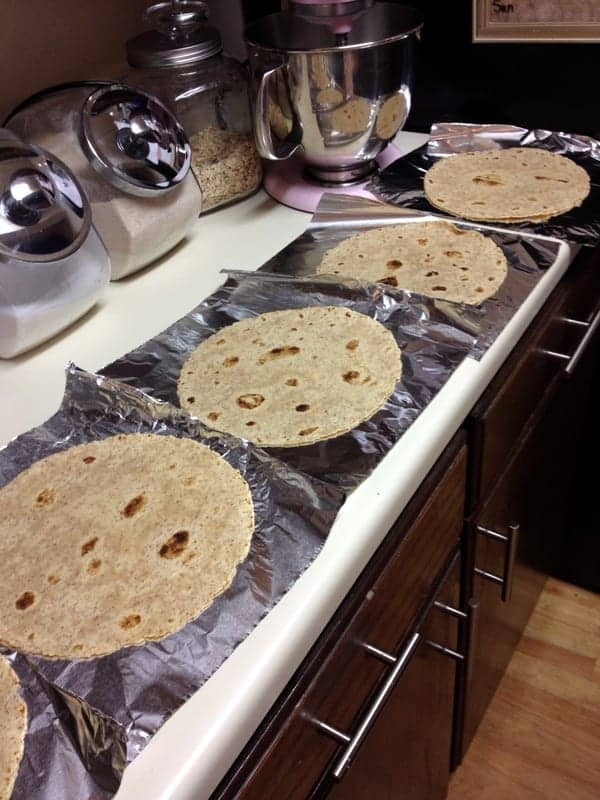 Once all the ingredients are cooked, it’s time to fill the burritos! 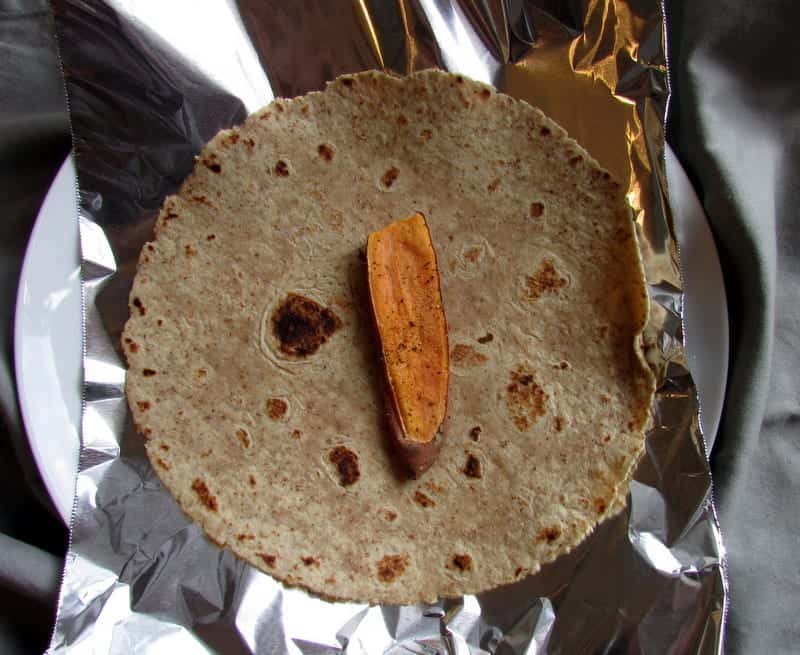 First place a piece of sweet potato on each tortilla. Third, place with a big old scoop of eggs and spinach. 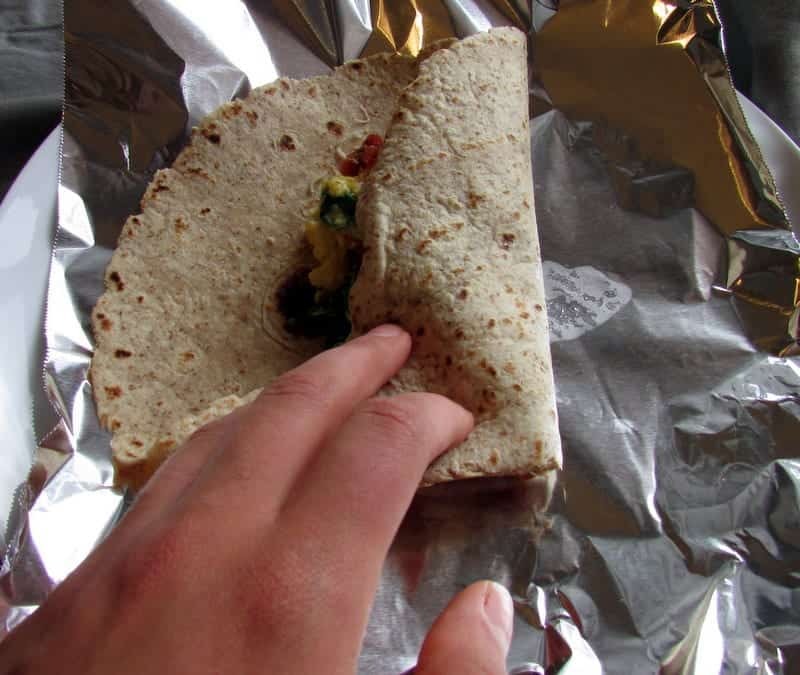 Once the burrito is full, fold the burrito into a nice little roll. 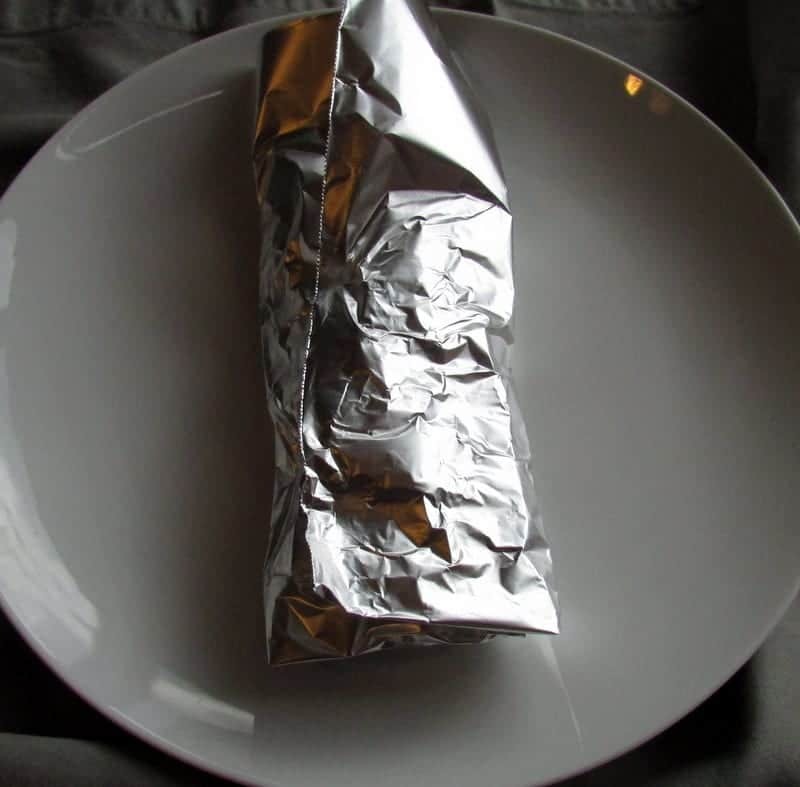 Once your burrito looks like a burrito, roll the foil around the burrito the same way! When they are all done, place them in the freezer and remove the night before you would like to enjoy one for breakfast. 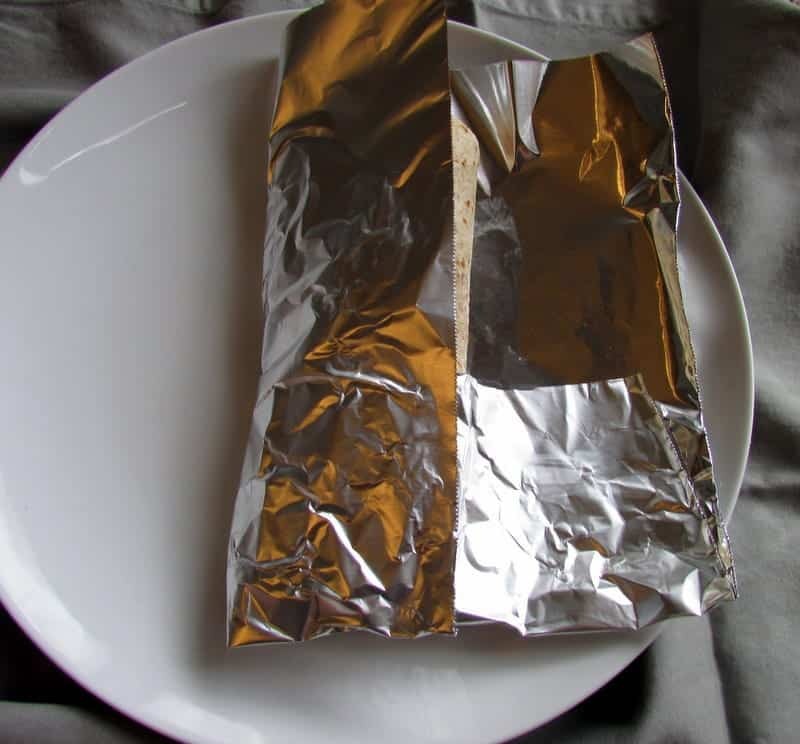 Once the oven is reheated, place the burrito IN THE FOIL in the oven for 25-30 minutes. Remove from the oven and enjoy!! 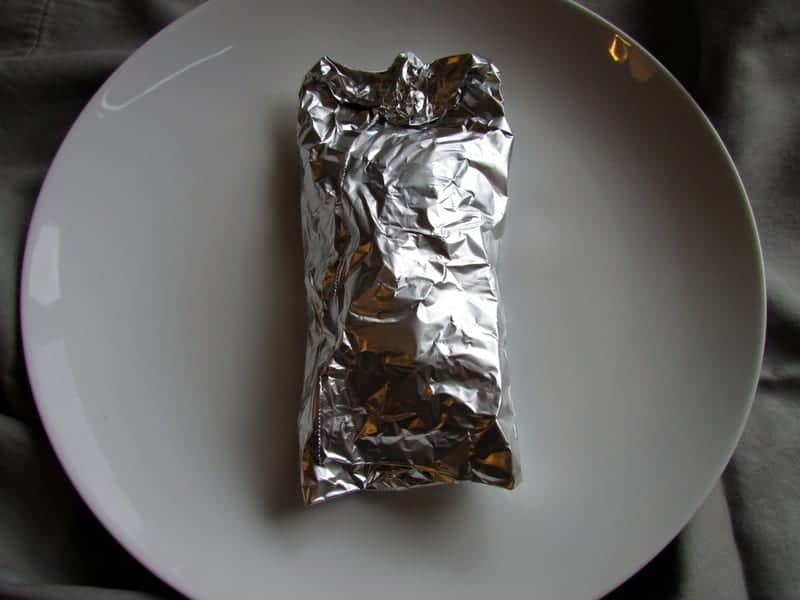 To reheat in the microwave, remove the burrito from the foil and place in a paper towel. 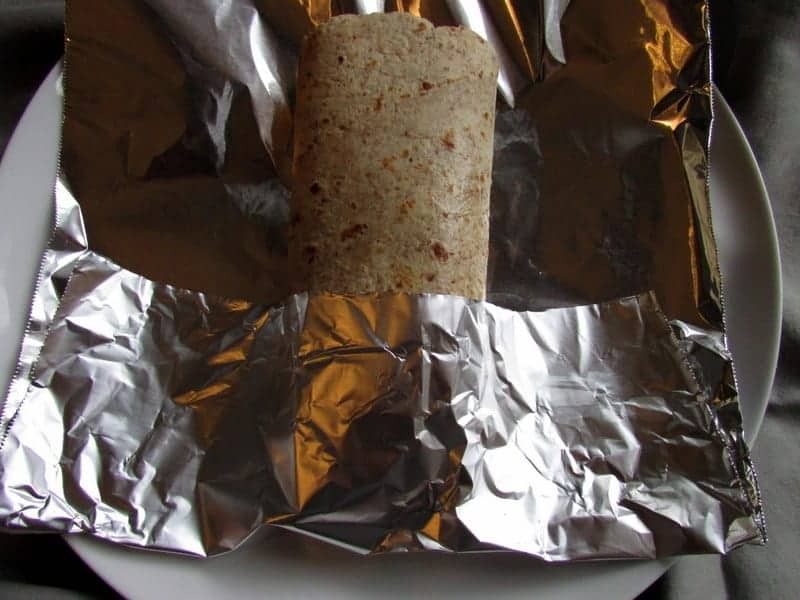 Place in the microwave for 1 minute to start, and check the temperature of the burrito. 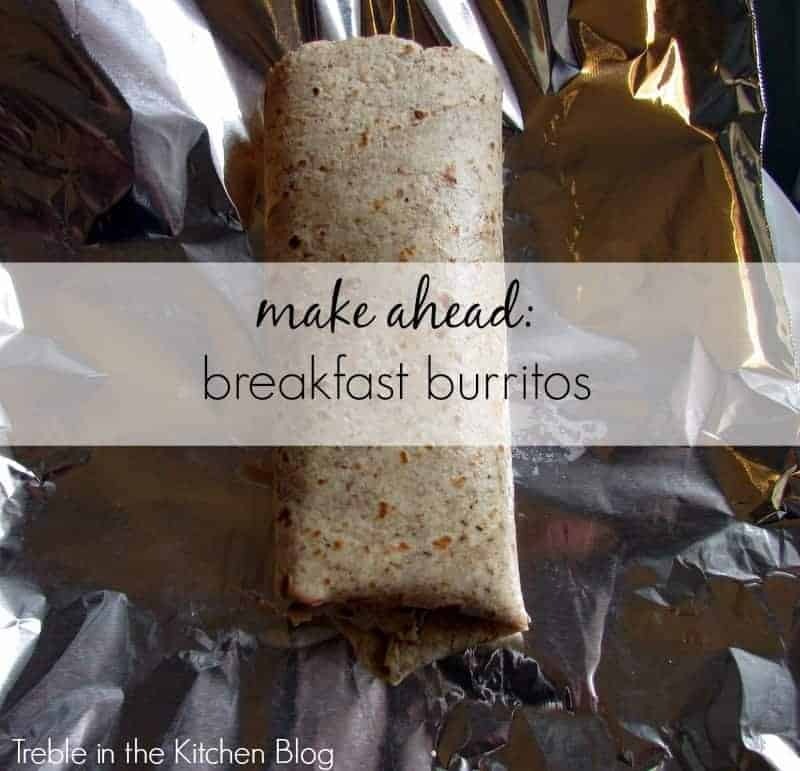 These burritos are filling and so great to have on hand, especially if you run low on time in the morning but still want to get a healthy and filling breakfast in. 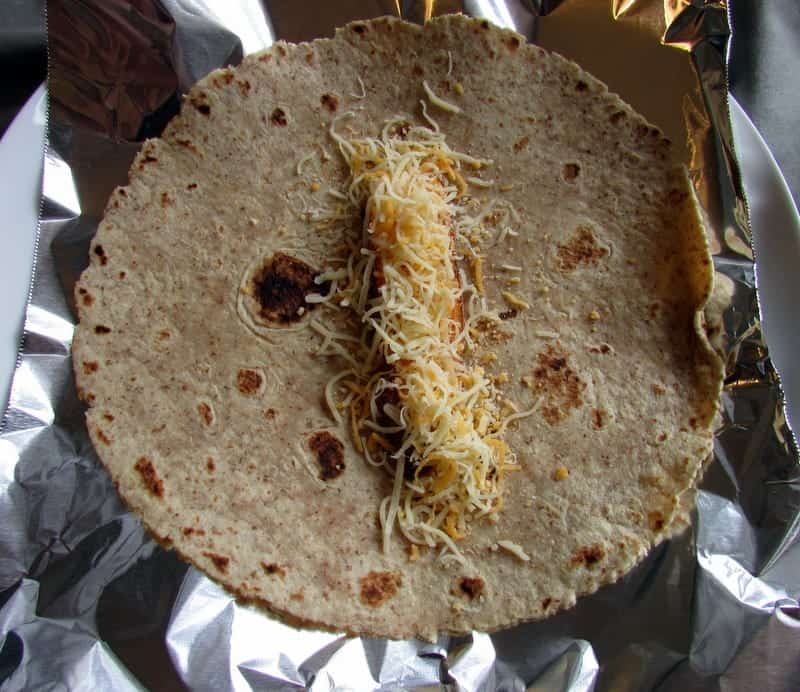 I hope you enjoy the convenience and taste of these burritos as much as we do! What’s your go-to breakfast as of lately? 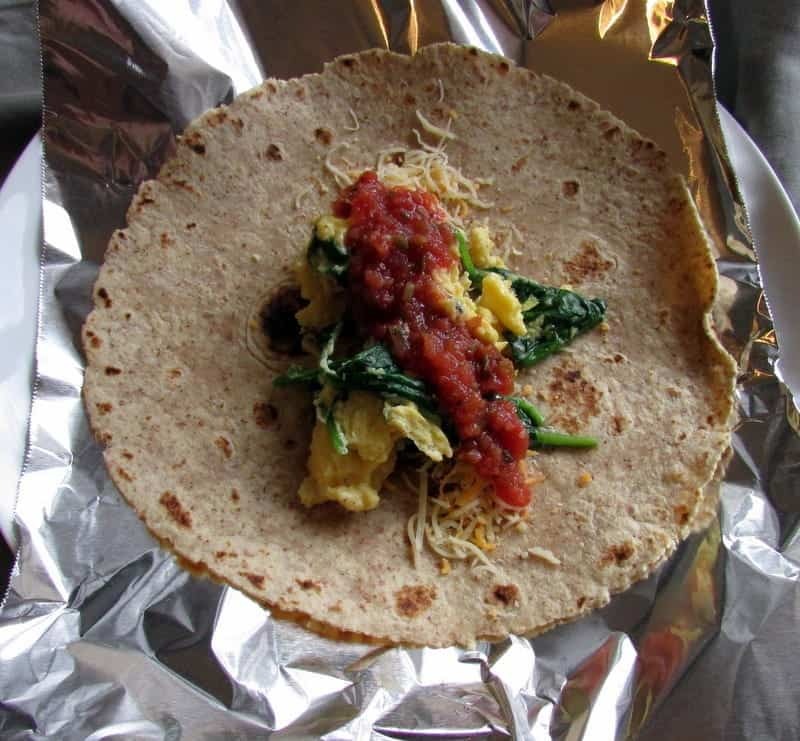 i love breakfast burritos. 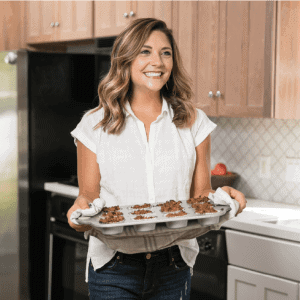 those look amazing and i love the idea of adding the sweet potatoes! And uhhhh I really want in on those salmon stuffed bell peppers! Yep! 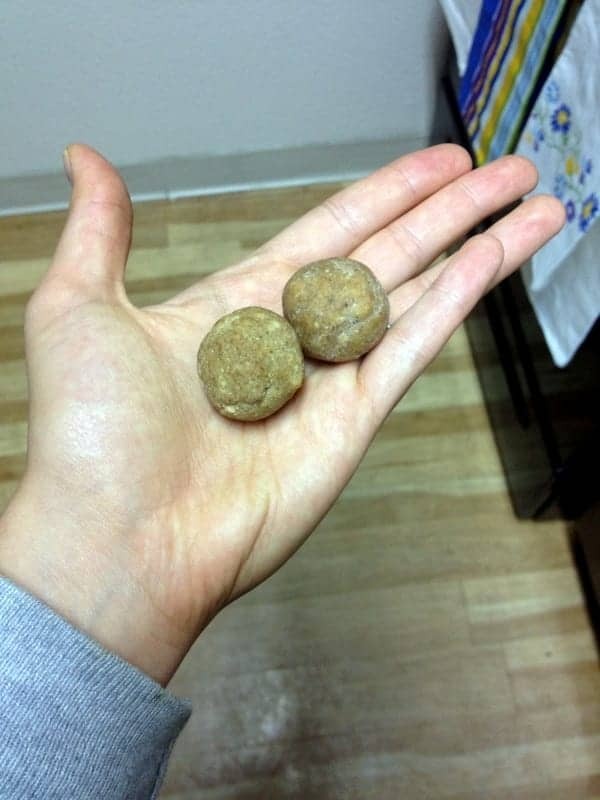 I ate balls with Lindsay! 🙂 You should be jealous!! She’s the bomb!